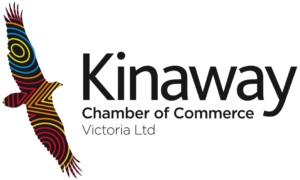 All new memberships are to be considered by the Kinaway Board to ensure membership qualifications are met. Government and Corporate Partners should note if they become a partner of Kinaway they will feature on the ‘Partnerships’ page not the members directory. Indigenous Businesses Owner $149.00 now. You are able to pay for your membership via our online secure portal using credit card or paypal. Membership fees have been established to take into account the differing financial position of members. Membership fees are due on 1 September every year. What is the advantage of being in the Kinaway marketplace? There are many sectors across Victoria that are looking to source Aboriginal businesses both in metro and regional areas being visible will increase your chances of success. Your business will be visible to thousands of buyers across Victoria allowing the potential for deals to occur. Will you share my information with other organisations or the government? Kinaway has a privacy statement that clearly articulates how we will protect your privacy. We take your privacy seriously. Kinaway will not willingly share your information with any third party, marketing agency, government department or allow your contact details to be visible without your consent..